Have you or an artist you know experienced a recent, career threatening emergency, such as an illness, accident, fire or natural disaster? CERF+ emergency assistance includes grants and/or brokered assistance, such as booth fee waivers and discounts or donations on supplies and equipment. 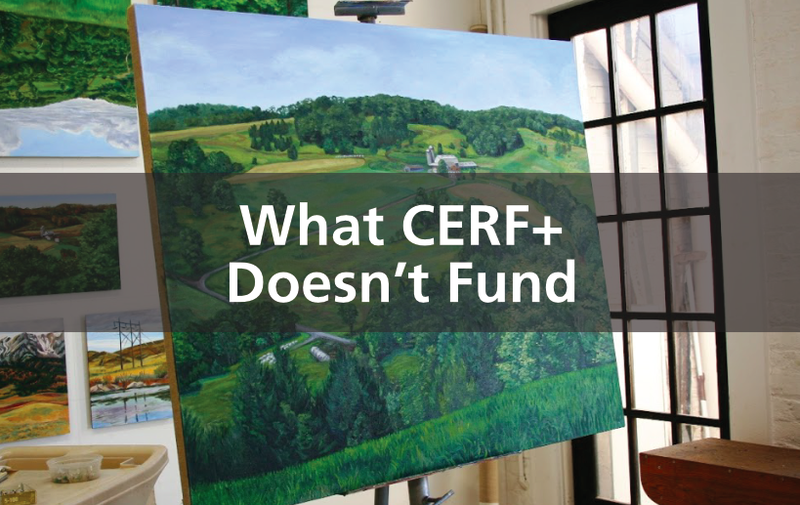 Artists interested in CERF+ emergency assistance must first complete an inquiry form. If it is determined that you may be eligible for assistance, you will be invited to apply for assistance. Before filling out an emergency assistance inquiry form, carefully read through the eligibility criteria and supporting documentation requirements. Get help from other arts organizations, your community and relief providers.